After several failed escape attempts and after pleading guilty, Frank Plunze was convicted “as a terrorist under section 101 and 218” for trying to illegally cross the border. On August 30, 1982, he was imprisoned in Torgau. Plunze recalls: “There I spent almost five years under the worst conditions you can imagine. They employed the complete repertoire, including physical and mental torture. In the winter they would sprinkle us with water from a hosepipe used by the firefighters. Then they divided the cell into sectors. This practice was called ‘kurzschließen‘ (to ‘short circuit’). 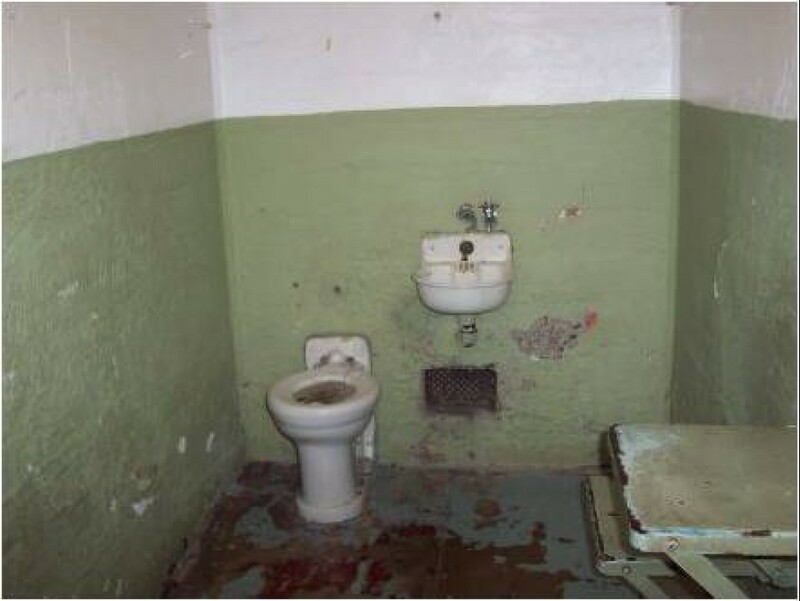 What they did was basically to separate the space of the cell where the toilet, the shower, the sink, and the heater were located. In this way, you were left to live in the remaining space of the cell. They turned off the heater and left you in the cell soaking wet in the winter.” While in solitary confinement, he was kept alive by his dreams about travelling to the USA and seeing an Udo Lindenberg concert. 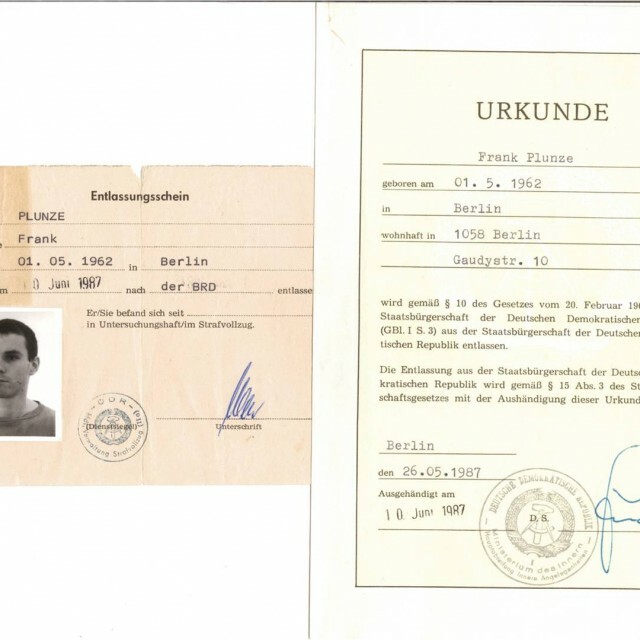 Frank Plunze was born on May 1, 1962, in Berlin-Pankow. Although he repeatedly tried to escape from the GDR, all of his attempts failed. His endeavors resulted in him being arrested and sentenced to prison. 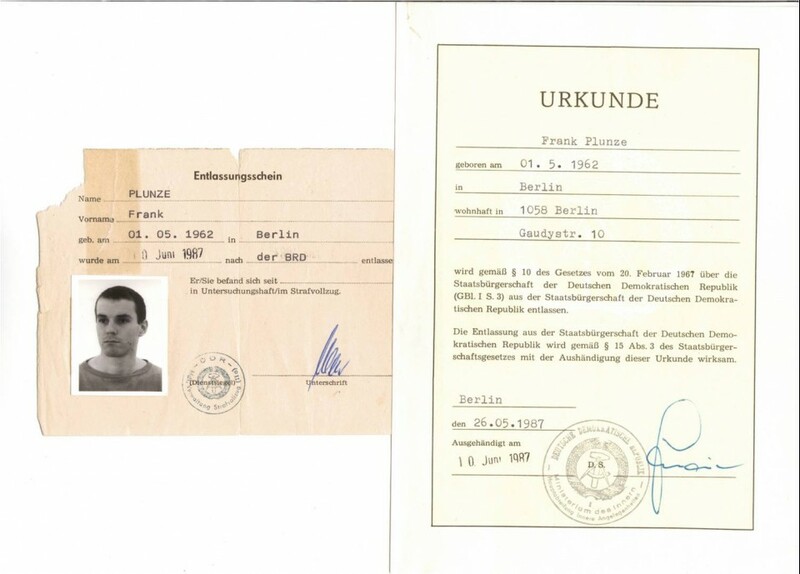 Frank spent five years in prison under inhumane conditions until he was redeemed by the government of the Federal Republic of Germany that paid for his release to West Germany in June 1987. 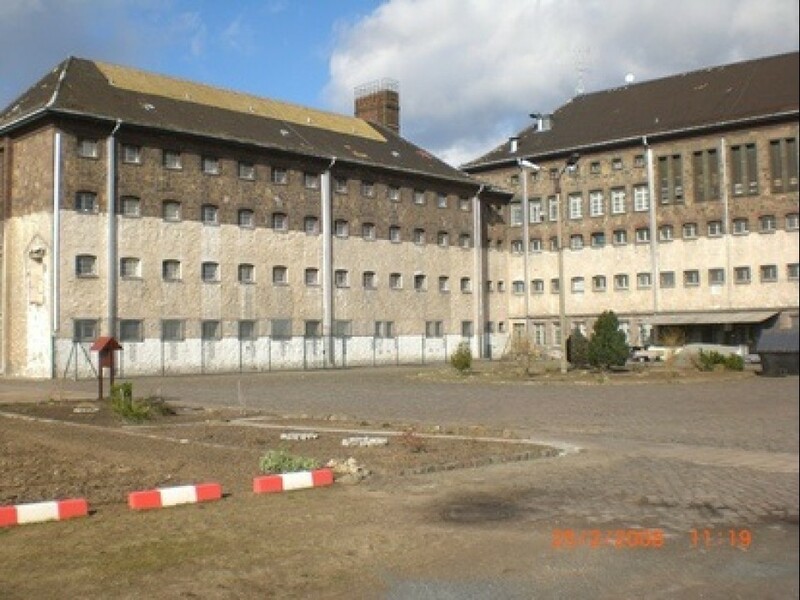 The Torgau correctional facility was in use since 1945, when it served as a Soviet special camp. 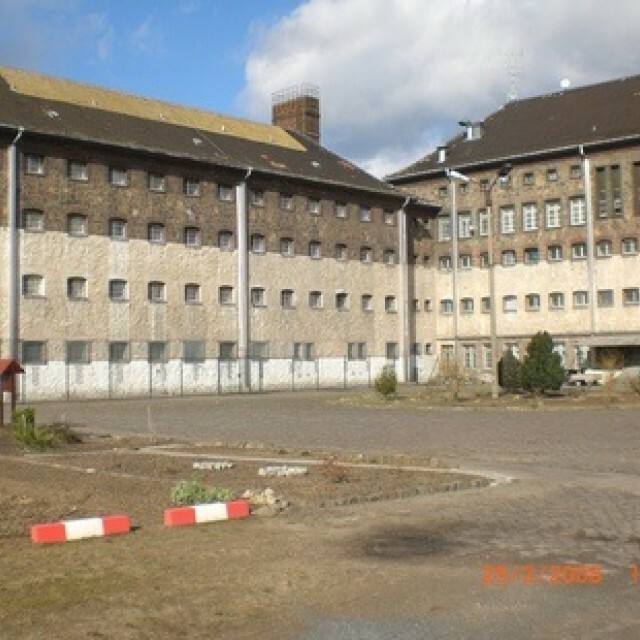 In 1949, the administration of the camp was handed over to the German judicial authorities, who finally made the prison operational in 1950. 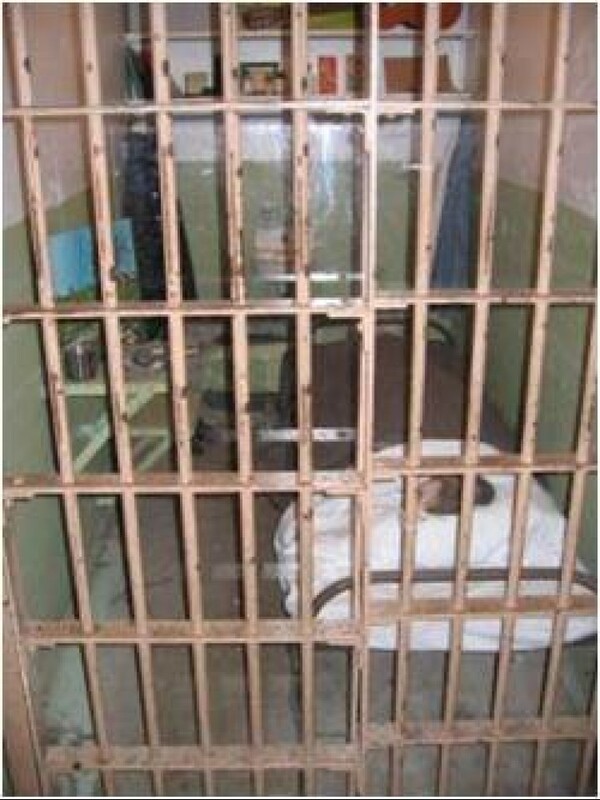 Until 1990, countless political prisoners of the GDR were imprisoned here. Today, the Torgau correctional facility serves as a prison of the State of Saxony.